Nuclear power after Fukushima is a topic being discussed on many professional forums. Several governments, facing pressure from NGOs and the public, have had to declare that they will abandon nuclear energy. But for the time being, the situation is virtually unchanged: plants are still in operation and will remain so at least through the 2020s, including those in Germany and Switzerland. And nuclear plants that were being built at the time of Fukushima are still being built. Some countries (the UK, South Korea and Saudi Arabia) plan to generate a bigger proportion of their energy through nuclear power. A total of 29 countries have nuclear power. The World Nuclear Association (WNA) predicts that by 2030, Russia, China, India, South Korea, the United States and France will account for about 71pc of the total number of nuclear power plants scheduled for construction by 2030 (212 of 297 reactors). In its Nuclear Fuel Market Report 2011 , the WNA says the world’s nuclear capacity will nearly double by 2030. 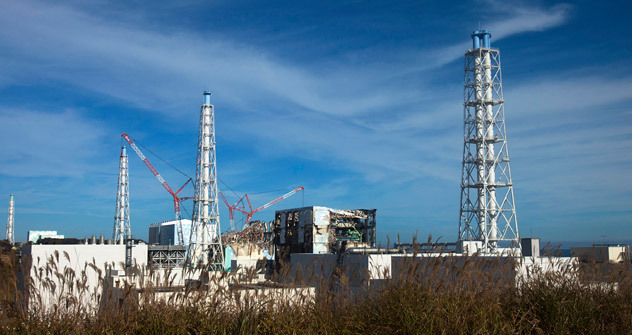 Especially notable are the 21 states that, according to WNA data, declared their intentions to build their country’s first nuclear power plants and confirmed these intentions even after the Fukushima accident. These include the United Arab Emirates, Turkey, Vietnam, Jordan and Bangladesh. New nuclear power plants aren’t just an energy project, but also a huge stimulus for infrastructure development, the construction industry and job creation, as well as a major boost for science and education. They can also help to expand international partnerships, for example the export of energy to neighbouring countries. Fukushima has had a mostly positive effect on the nuclear industry. This is because it has made the most advanced safety systems an essential requirement and virtually eliminated the supply of Generation II reactor facilities on the market (those without double containment or passive safety systems, or with incomplete systems). The accident in Japan has also led to proposals for tougher safety rules. Dmitry Medvedev, the Russian president, has suggested improvements to the international legal framework for nuclear safety, as well as to International Atomic Energy Agency (IAEA) standards. These were reflected in the action plan and resolutions adopted at the IAEA general conference in September. In addition, any military strikes against nuclear facilities – which in recent years have been discussed in connection with Iran’s nuclear power programme – would not only violate international law, but would also run counter to the wider interests of the international community. Russia has already taken heed of the lessons to be learned from the Fukushima accident . It conducted stress tests earlier than other countries, and Russia’s procedures proved to be even more thorough, since it has also tested stations’ physical protection systems against possible terrorist attacks. It has gained experience by searching for usable sites in earthquake zones: the Armenian nuclear power plant, for example, is in one. In addition, reassessments of seismic activity in nuclear power plant regions are currently under way in Russia. After this, each power-generating unit will work on improving the stability of key facilities. In all, Russia plans to build a total of 26 new reactors as part of its programme to develop nuclear power by 2030. Taking into account the units that will be decommissioned by that time, up to 25pc of electricity consumed in Russia will be generated by 47 nuclear power units. All of the units being constructed by Russian nuclear power plant specialists – both in Russia and abroad – are the so-called Generation III+ reactors, which use a unique mixture of active and passive safety systems to withstand any possible combination of external impacts. Russia continues to participate in bids to build new nuclear power plants in foreign countries. Its competitive advantage is that Rosatom , the state atomic energy corporation, is prepared to guarantee client countries a supply of nuclear fuel for a station’s entire operating life. That’s because we are absolutely confident that nuclear power is still by far the safest, cleanest, and most cost-effective source of energy available today. In general, we must acknowledge that the past 20 years have largely been lost in terms of actively preparing the global economy for a transition to clean energy. Every nation can probably be said to be guilty of this, but it is especially the fault of countries that could show foresight and afford to implement ambitious programmes in this realm. Now we must reform our views of the immediate situation with a healthy pragmatism, and a real understanding of the world in which we now live – in the 21st century, and not in the 22nd. Alexander Yakovenko is ambassador of the Russian Federation to the United Kingdom.